I get invited to quite a lot of different things and I love finding great stuff to recommend to other parents. Some businesses ask for a personal review from myself, and these I will do, but I can’t do everything! So a while ago I asked if any Mumblers would be interested in being on a list of ‘Guest Reviewers’, if there’s ever anything I get asked to review but can’t make it to. There was a lot of interest and we’ve sent out a few guest reviewers to test things out for other parents. As a mum of a two-year-old and a baby, there are many competing priorities that run through my mind first thing in the morning, but never before has “what shall we wear to the rave?” been one of them. 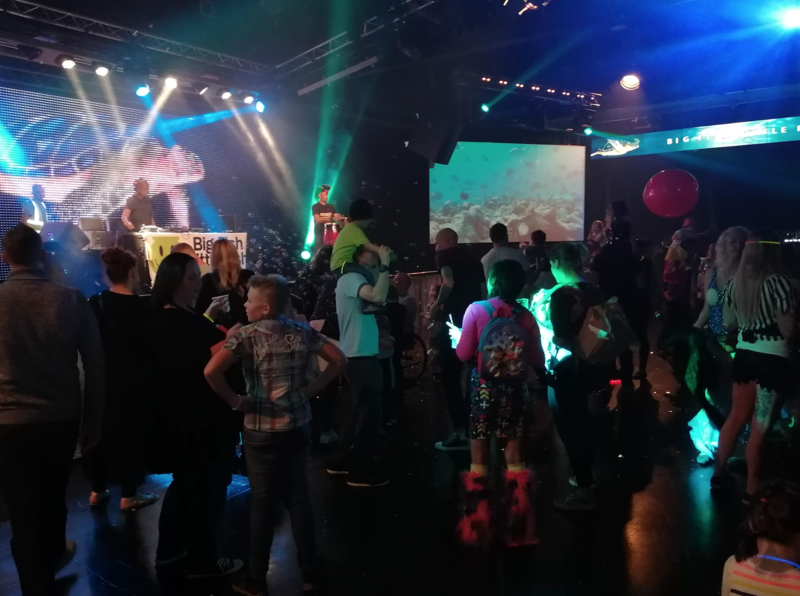 When I was invited to review the Big Fish Little Fish Family Rave at Epic, I was curious as to how the combination of nightclubbing toddlers and nostalgic raving parents could possibly be a good one. Leaving my Littlest Fish with the grandparents, I went along – partly for the entertainment of witnessing a cringe-making mistake in motion. I can’t deny, I was delighted – and a little stunned – to have been completely wrong. Honestly, I don’t know who enjoyed it more, me or Little Fish! Epic Studios, on Magdalen Street, was the perfect setting for a Sunday afternoon rave, catering for everyone from wide-eyed babies to uber-cool grandparents. There was a lift up to the first floor, where a large buggy park had been set up close to the dance floor, there’s a spacious bar, a huge stage and a sizeable seating area for anyone not hard-core enough to stay on their feet for the two hour set. 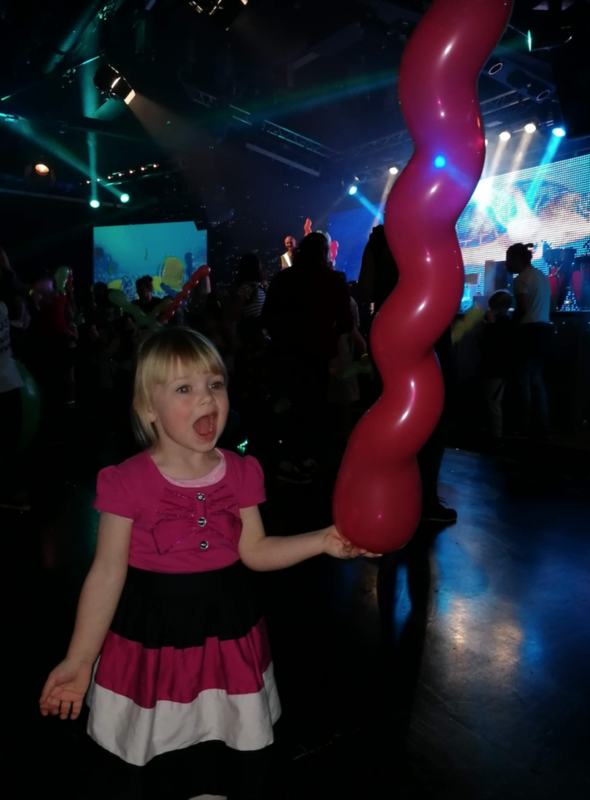 While I attempted to join the other Big Fish who had immediately made for the bar, Little Fish was intent on dragging me off to dance under the bubble machine and charge around the room after one of the huge balloons that were bobbing through the crowd. This was a true family event through and through with plenty to occupy children who would much rather have been listening to Baby Shark for two hours – there was a colouring wall and craft area as well as face painting. Little Fish even worked on her multi-tasking and delighted in joining the fun at the Playdough table while simultaneously batting me on the head with her four-foot pink balloon. Big Fish Little Fish Family Rave has struck a magical balance, managing to mesh children’s entertainment and a nostalgic set of rave anthems seamlessly. 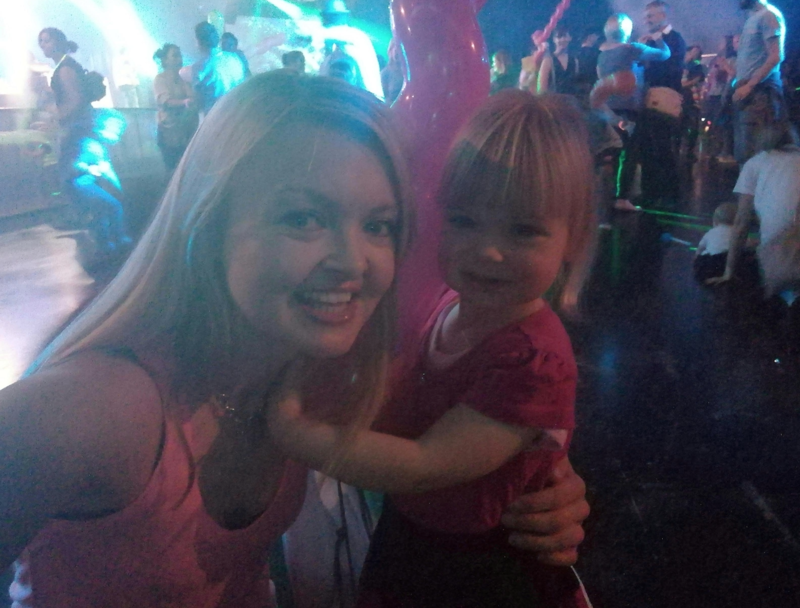 Babies bopped along in slings, tots ran in and out of pirate tents and tunnels and the habitual ravers waved their glow sticks to the beats of ‘Nookie and DJ Trax’, oblivious to the randomness of the combination. The last time I’d been close to considering myself rave-worthy, I was waiting for Paul Van Dyke somewhere in the middle on San Antonio, wearing slatted sunglasses and several shades of neon, with a whistle in one hand and a WKD Blue in the other. Those days may be gone but Big Fish Little Fish bridges the gap and allows you, for two hours, to pretend you’re still young, free and spontaneous while giving you something even better – the chance to watch your Little Fish jumping around with glee to the soundtrack of your former life. If you’d like to be added to my ‘Guest Reviewer’ list get in touch HERE. Please include what you use the Mumbler website for most, if you have any geographical limitations to where you can travel to do a review and what age your Mini Mumbler/s are.